Few stories are as widely read and as universally cherished by children and adults alike as The Little Prince. Richard Howard's new translation of the beloved classic—published to commemorate the 100th anniversary of Antoine de Saint-Exupéry's birth—beautifully reflects Saint-Exupéry's unique and gifted style. Howard has excelled in bringing the English text as close as possible to the French, in language, style, and most important, spirit. The artwork in this new edition has been restored to match in detail and in color Saint-Exupéry's original artwork. 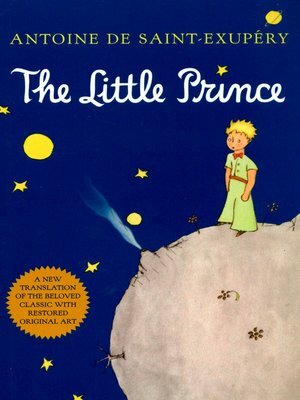 Harcourt is proud to introduce the definitive English-language edition of The Little Prince. It will capture the hearts of readers of all ages.